Over the last few months, I have been trying out an overwhelming amount of healthy snacks and protein packed products for a roundup post of the very best. In this guide, you'll find some drinks, snacks and foods for gym go-ers, people on the go; most of which are vegetarian friendly and gluten free too. These are brand new protein balls which are relatively new to the market. 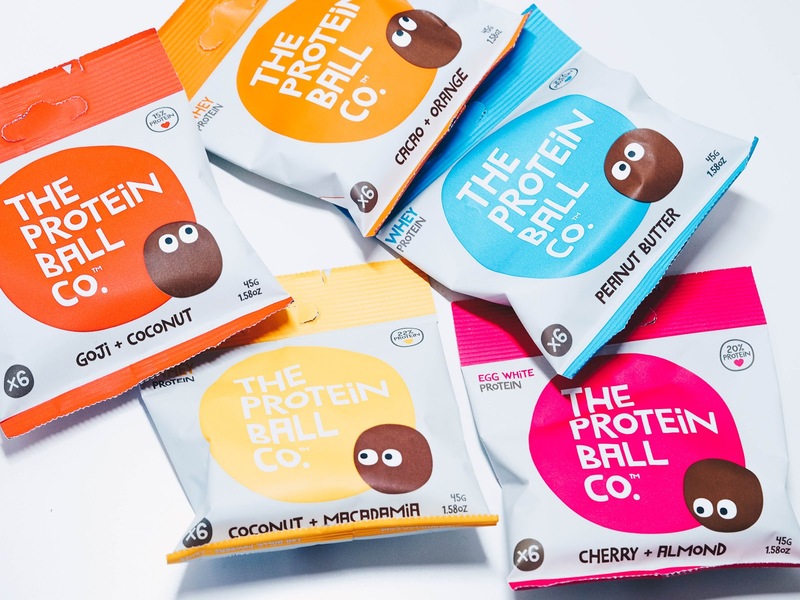 Packed full with whey protein and 7 other natural ingredients, there's currently 4 flavours to choose from and each pack has 3 protein balls inside and each varies with its protein intake. Coconut Fudge Cakes is high up there with 26% protein, whilst new flavour Lemon Drizzle Cake has 19% protein. Other flavours include: Peanut Butter Cookie Dough (my favourite!) and Maple and Cinnamon Roll. 12 packs are priced at £17.99 and can be purchased from Boostball. These are designed to help keep you on-the-go, whenever and wherever you need a boost. Each bar is made using organic rolled oats and organic dates. They are a source of protein and fibre and also contain 11 vitamins; including B6 and B12 which help to release the energy in the body. Available in seven different flavours, CLIF bars are available from Boots, Tesco and ASDA for £1.60 per bar. 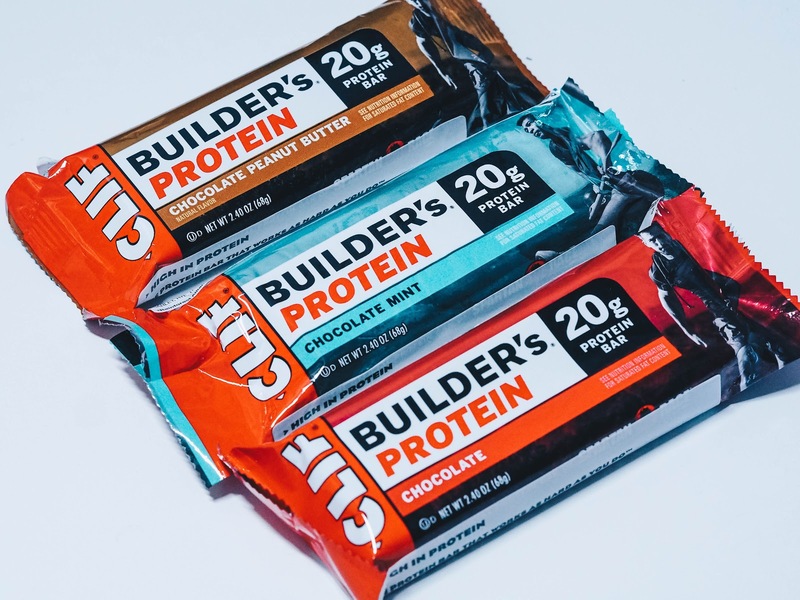 From the makers of CLIF Bar, they now have the Builder's protein bars available. Packed tight with a mighty 20g of protein, these bars are the best to have when growing and maintaining muscle. With added vitamin b6, this helps to contribute to normal protein and glycogen metabolism. Free from hydrogenated oils and sugar alcohols. Suitable for vegans, these bars come in three delicious flavours; Chocolate, Chocolate Mint and Chocolate Peanut Butter. Priced at £2.35 per bar, these can be purchased at Ocado and all good health food and sports nutrition stores. 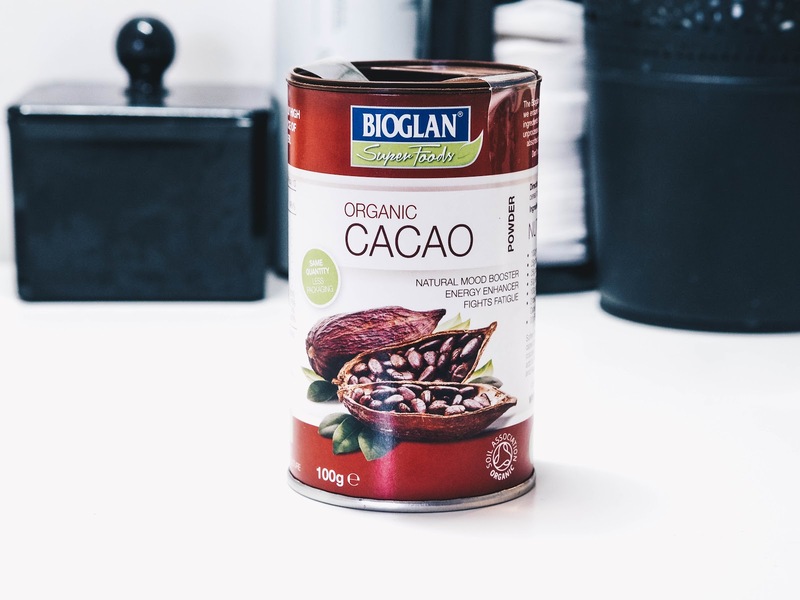 I have been loving using the organic cacao powder from Bioglan. It's a great organic chocolate flavoured powder which can be added into smoothies, porridges and baking... particularly great if you're going to make your own protein balls! Cacao contains antioxidants which can prevent you from some diseases and it's also a natural mood enhancer! 100g £3.99 from Holland & Barrett. I came across Dr Zak's quite recently and have to admit I really do love their products! They have a few different protein cookies which are perfect for any gym bunnies out there. Not only are they vegan friendly, but they are packed with 15g of protein, with low sugar and low impact carbs; aswell as being palm oil free. I've tried both the chocolate and white chocolate chip protein cookies and both are equally as delicious! Protein Cookies are priced at £1.75 from MuscleFood. They also have a brand new product that launched earlier this month; Protein Clusters. These have 10 to 12g of protein per pack and only 135 calories. They can be enjoyed on their own or added to porridges or mixed with milk to make a cereal. I really enjoyed the chocolate ones and the pea protein yoghurt coated ones are really nice too. Protein Clusters are priced at £1.49 from MuscleFood. These are some of my favourite protein balls that I have tried. Not only are they absolutely delicious and available in 6 unique flavours, but they also have many benefits. They're all natural, gluten-free, wheat-free, vegetarian, soy-free and have no GMO's. Each flavour also uses different protein; from whey, egg white and vegan. An utter winner in my opinion. You can choose from Cacao & Orange (which tastes pretty much like chocolate orange! ), Coconut & Macadamia, Lemon & Pistachio, Cherry & Almond (which tastes like cherry bakewells!) and Peanut Butter. Obviously, the peanut butter ones were my favourite and I thoroughly recommend these. Available from Holland & Barrett for £1.99 per pack. These brand new launched drinks from Robinsons are something I absolutely love and will definitely be picking up again. 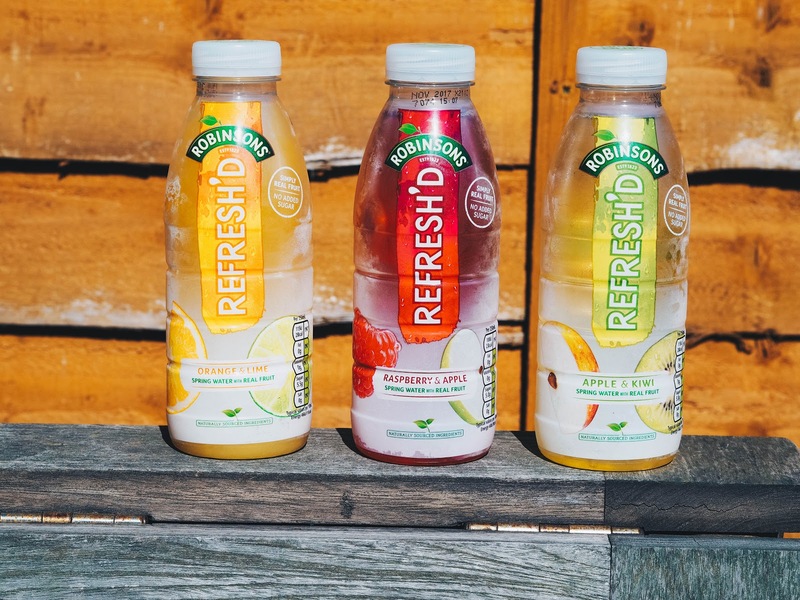 These drinks are a mix of spring water and real fruit - currently available in three different flavours; Apple & Kiwi, Raspberry & Apple and Orange & Lime. 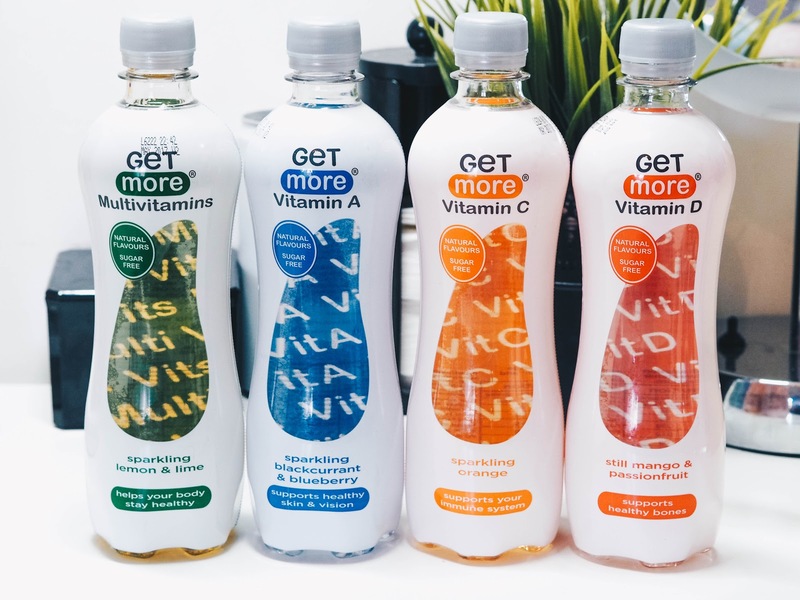 With no added sugar, artificial sweeteners, colours, flavourings and preservatives; it's to no surprise that each 500ml bottle has just 55 calories. Available in all major supermarkets for £1.29 per 500ml bottle. Protein powder is great for adding into porridge and smoothies to guarantee you're getting your daily intake of protein - essential for building those muscles! 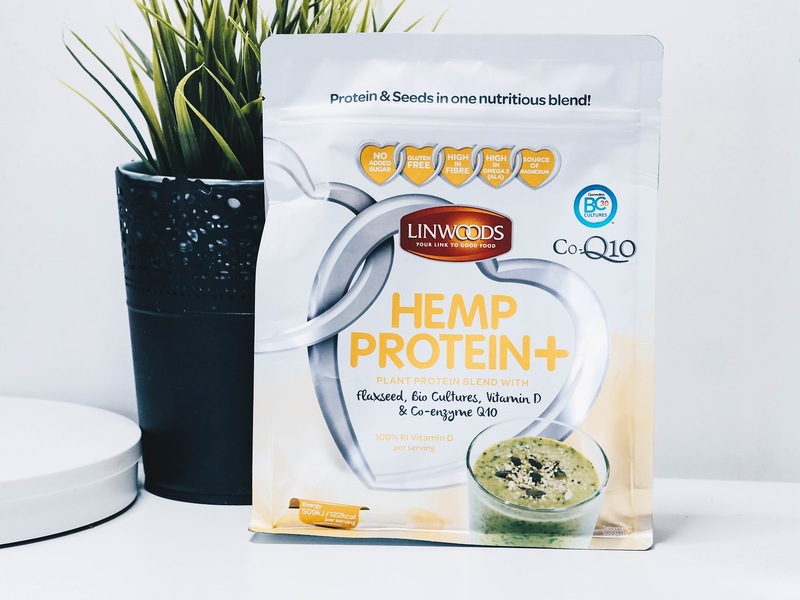 The Hemp Protein+ powder from Lindwoods is a plant based protein - best enjoyed when added into smoothies or sprinkled onto yoghurt. It's near enough flavourless which is perfect so you get the best tasting smoothie. It's dairy free, organic and vegan friendly and also provides you with 15-16g of protein in a 30g serving. 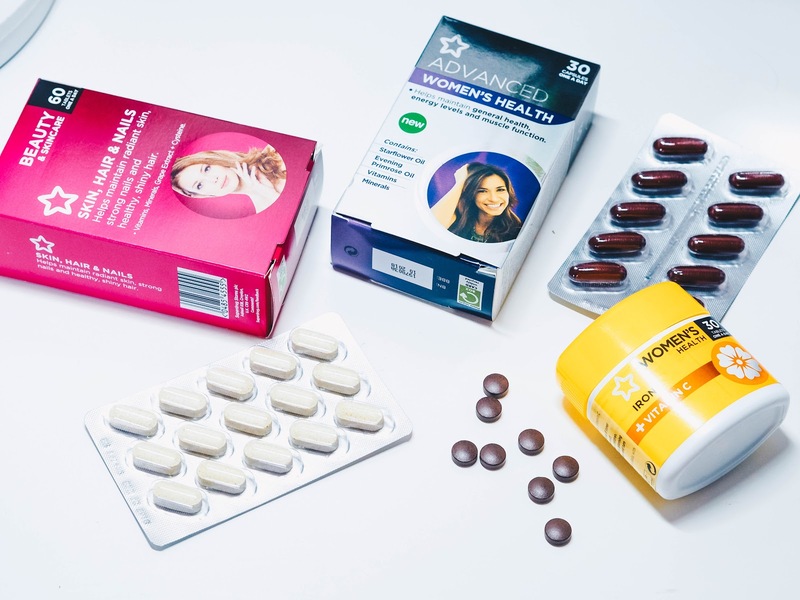 With three different versions available, they are priced at £16.99 from the website and Holland & Barrett for a 360g pack. I had never actually tried cold pressed juices before trying these, so was really excited to try them out. This new range uses selected fruit and vegetables which are cold pressed to create a fresh and vibrant tasting drink; bursting with flavour and benefits. 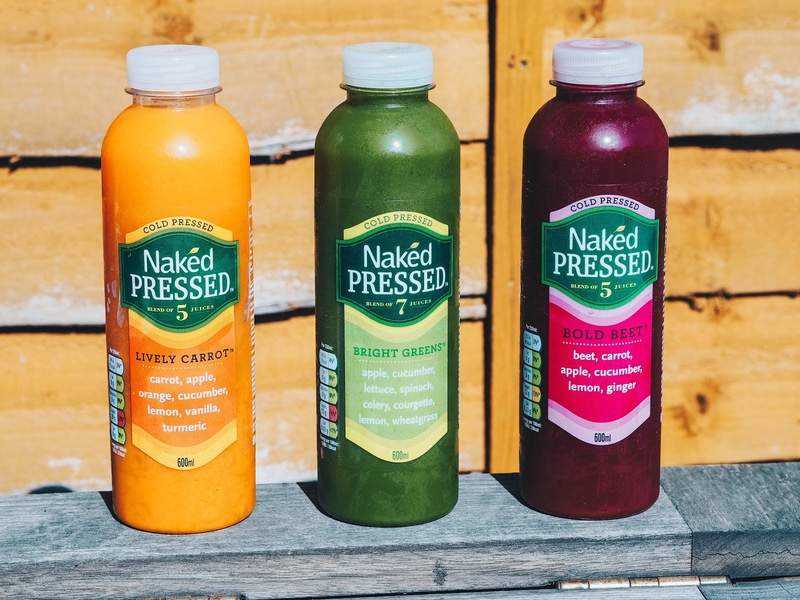 Choose from Bright Greens, Lively Carrot and Bold Beet, which all have a number of different ingredients pressed down into a drink. They are light in texture and not thick like a smoothie and are great breakfast or lunch alternatives for people who are in a rush or on the go. These can be picked up from Sainsbury's and Ocado - £3.79 (600ml) or £2.29 (250ml). Incase you didn't know, a jujube fruit is actually a dried red date and they are reknowned for health and wellbeing. Packed with lots of antioxidants and phytonutrients, they help to calm the mind, improve sleep and boost the immune system. Vegan friendly, dairy and gluten free - not to mention they are also sugar free; they are the perfect superfood snack to add into porridge and cereals. Available in a dried fruit version or a jujube crisp for £1.99 per pack. 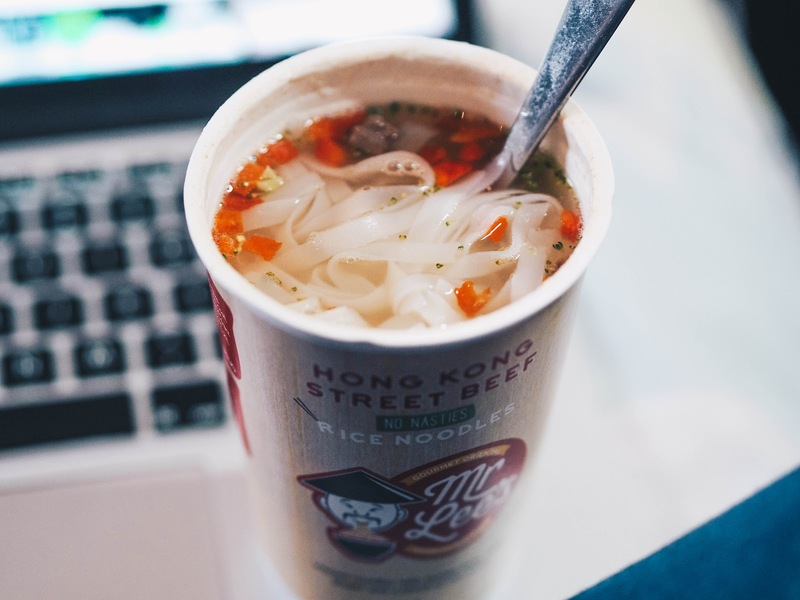 I was really excited to try these noodle pots from Mr Lee's Noodles as a healthy lunch alternative to a sandwich. There are 6 different flavours in the range and a pack of 6 can be purchased as a bundle for £17.94. Choose from; Hong Kong Street Beef, Fighting Shrimp, Dragon Fire Mushroom (very hot! ), Shaolin Monk Vegetables and Penang Chicken Curry Laksa (my favourite!). Depending on the flavour, each pot only contains between 202-237 calories and are gluten free. My biggest tip is to make sure you stir everything together when eating these. The flavours sit at the bottom and the noodles are on top! I love adding dried fruits into granola and yoghurt; either as a breakfast or snack. 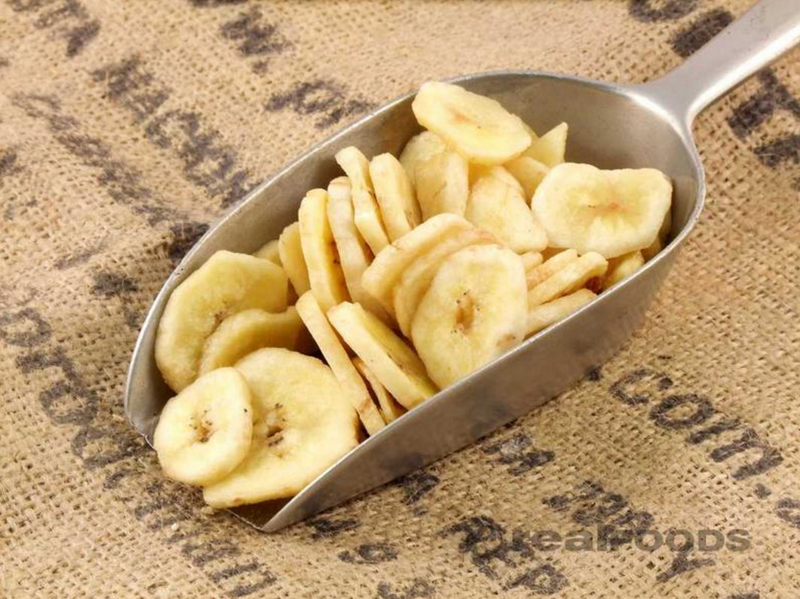 These organic banana chips from realfoods are extremely yummy and add that extra bonus to what you're eating. They are perfect for snacking on and also using in home baking. As they are low in cholesterol and sodium; they have many health benefits too. You can buy different size packs but a 500g bag is £4.34. Vitamins are vital for our bodies, but it can be difficult to know what food and drinks to find them in. Luckily, Get More have brought out some drinks that are packed full with vitamins. These use natural, spring water with a low calorie and sugar free recipe. In fact, there's less then 10 calories per drink! They are perfect for anyone who struggles to drink enough water and needs a little flavour without the guilty feeling. Each flavour contains a different vitamin which is a wonderful idea if you need a certain intake of vitamin. There's also a kid's version which are perfect for lunch boxes! These drinks are available in Sainsbury's and Tesco supermarkets and rices may vary. 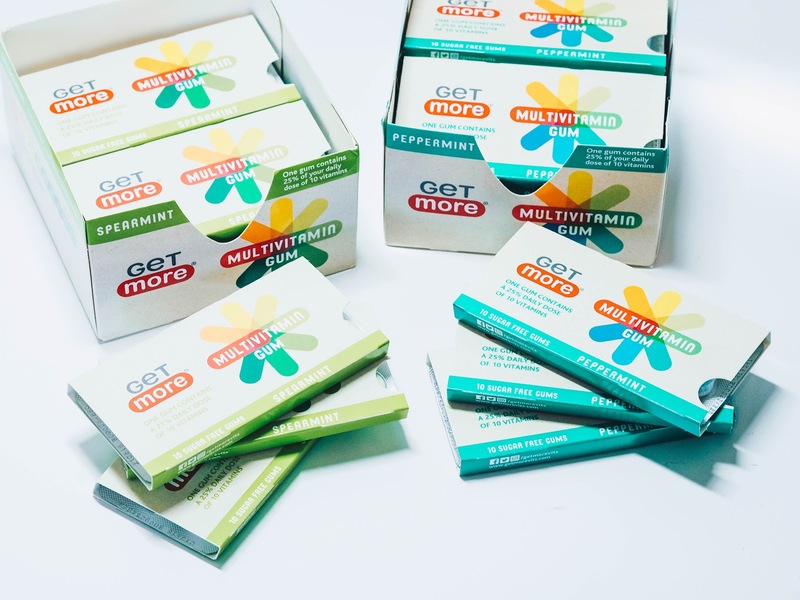 Shoutout to their multi-vitamin, handbag-friendly gum too! 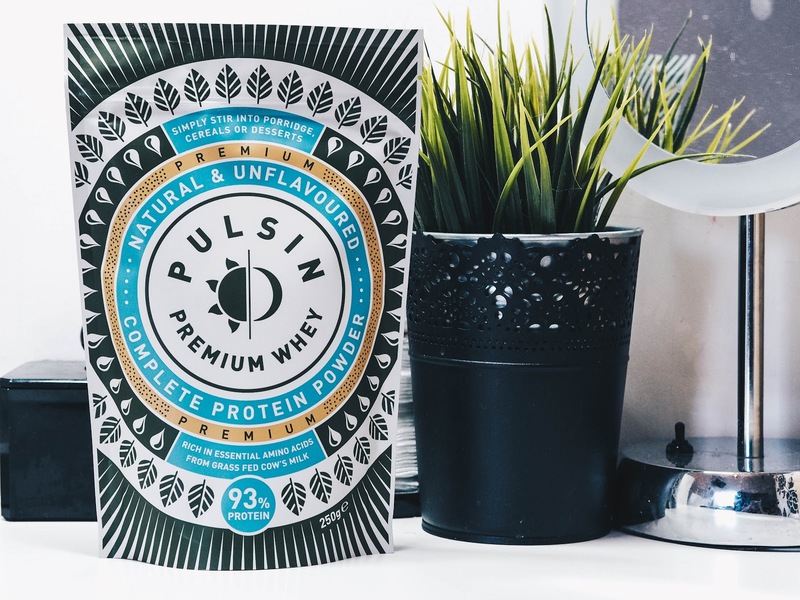 I loved trying out the Whey protein powder from Pulsin so much, that I think it's my favourite protein powder I've tried so far. It's an everyday protein powder that is vegetarian friendly, but not dairy free. It's packed full of calcium which is great for someone like me who rarely has milk. It's also flavourless and gluten free! I really enjoyed adding this to my cereals in the morning as it gave me that daily intake of protein that everyone needs. Depending on size, prices range from £16.20-£50.70. There's also a great selection of protein bars and raw chocolate brownies; packed full of protein and antioxidants. I found these really yummy too! Prices range here. A great dairy alternative is that of coconut milk. I am gradually trying to wean myself off dairy products completely, but will need to start very slowly. I can't drink soya milk as I am allergic, so it's a bit of an interesting journey in trying different plant based milks. 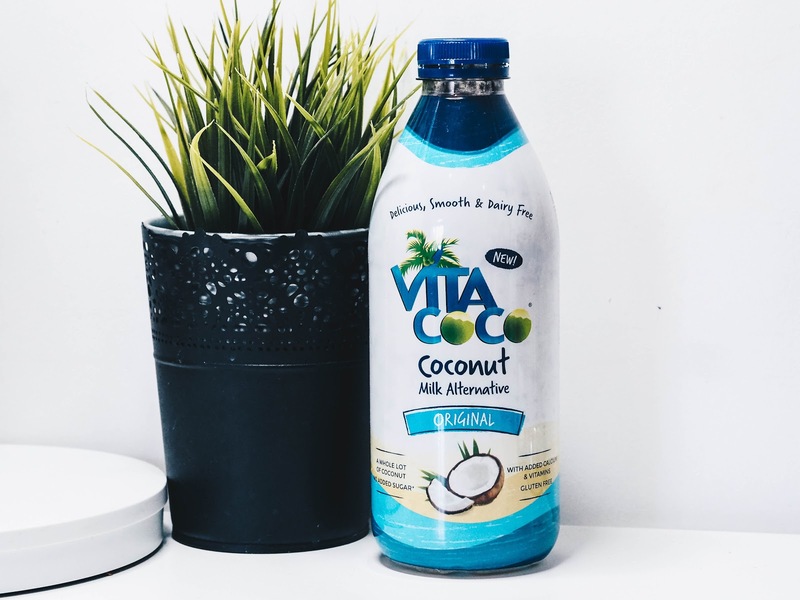 I can tolerate the coconut milk from Vita Coco and find it easily usable in smoothies and cereals. A bottle this size will only set you back £2.99, available from most supermarkets. How many of you discard the seeds in fruit without thinking about whether they have any benefits? Watermelon is incredibly good for us and so are its seeds. 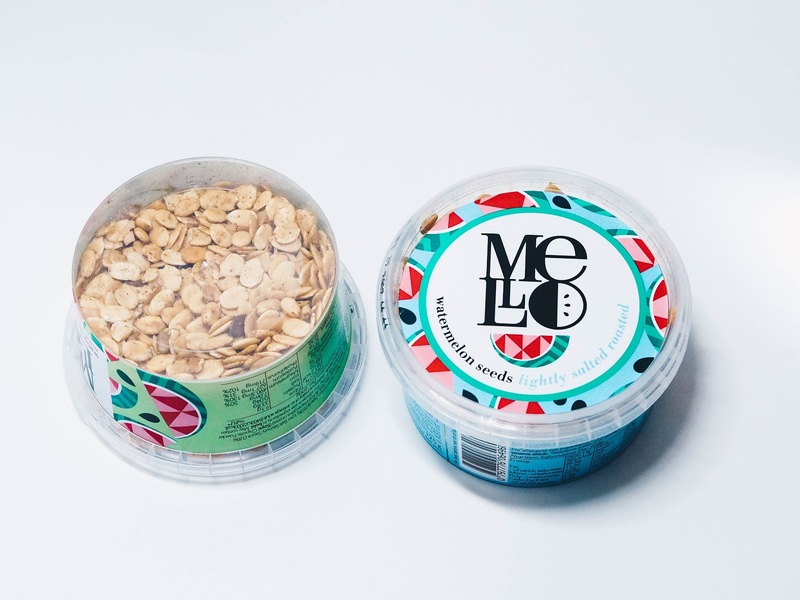 MELLO have tubs of dried and roasted watermelon seeds. Whilst being really high in protein, they are also contain a boost of iron, magnesium and potassium too. It's said that a 100g serving of these seeds contains 33.8g of protein. Whack these into a salad or in your morning granola and you're almost at your daily protein intake. Available from Holland & Barrett for £3.49. These savoury wholegrain snacks are perfect for people who are looking for gluten friendly lunch snacks. Not only are they wholegrain and packed full of protein; but they're also 70% lower in fat than regular crisps and vegan too! Each 120g sharing bag is priced at £1.79 and can be purchased at Amazon, Waitrose and Ocado. 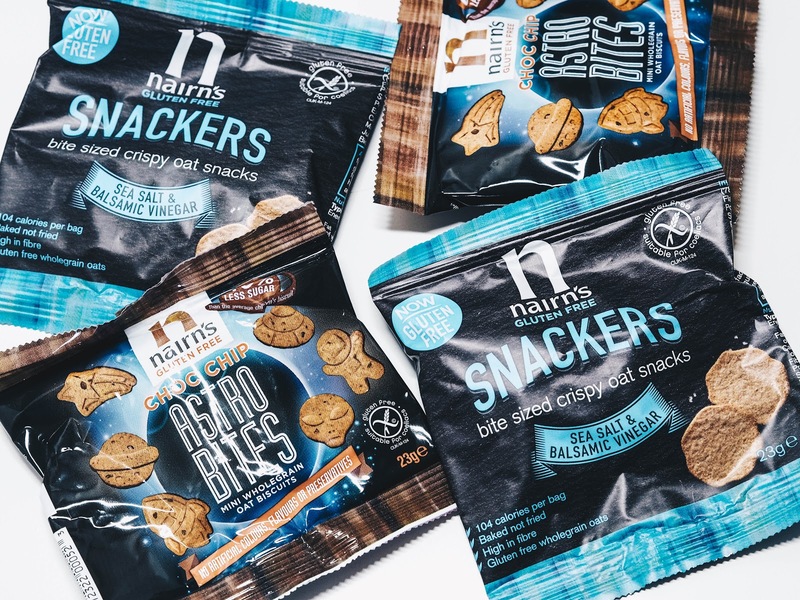 This is a range of healthier snack alternatives hat I have been recently introduced to and look forward to exploring some more. 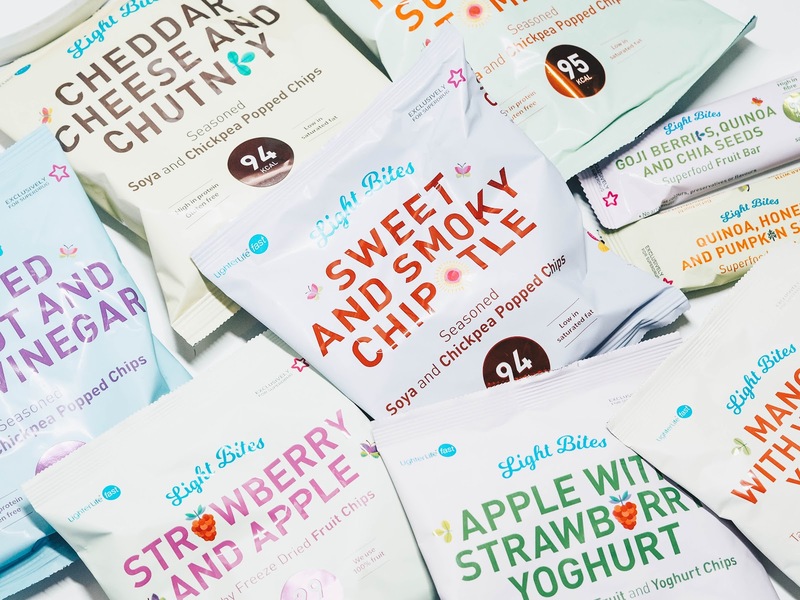 Light Bites are all less than 100 calories and make the perfect alternatives to full-fat snacks for those who are on the lookout for a healthier snacking option. 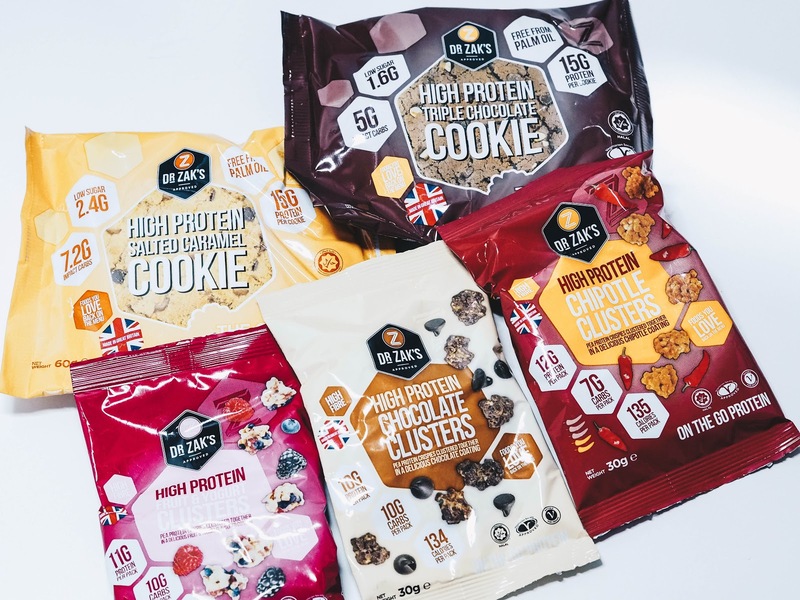 High in protein and fibre, while still being low in calories, the range includes gluten-free popped chips, 100% fruit snacks and is enriched with a selection of tasty super foods like chia seeds and goji berries. Ideal for eating day-to-day for a quick and easy treat, they can also be consumed on a Fast day for those following the 5:2 with LighterLife Fast. These chocolate chip astro bites and snackers packs are designed to look like a kid's lunchbox snack, but I'd say they can definitely be enjoyed by adults too! 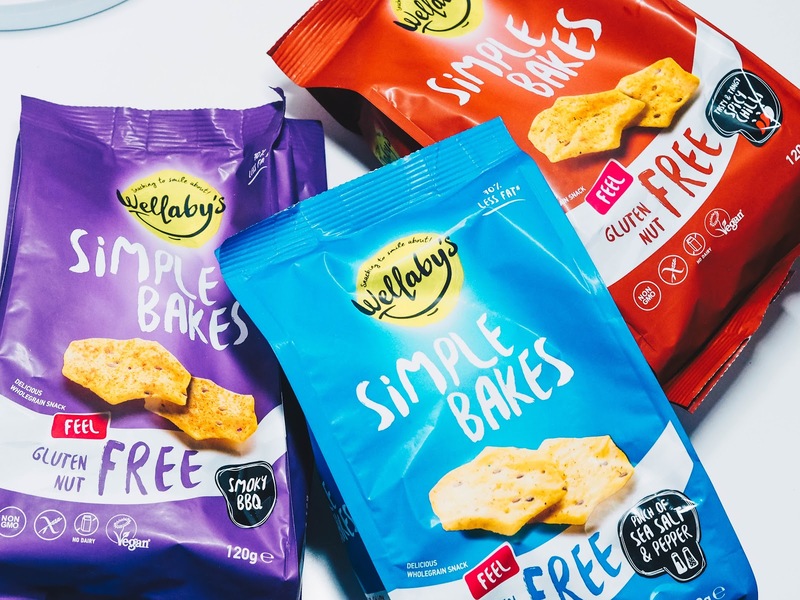 These gluten-free snacks are made using simple and natural ingredients; with no artificial preservatives, colours or flavourings. These also have 50% less sugar than your common lunchbox snack! A pack of 5 is £1.85, available at Morrisons. The final thing that I thought would be worth mentioning are the range of different vitamins from Superdrug. Iron is essential for the rebuild of red blood cells and Vitamin C is great at helping iron to absorb (£1.75 30 tablets). These are two products that really benefit women. I have also used Superdrug Hair, Nails and Skin daily vitamins for years and swear by them for making my hair really strong! £7.99 for 60 tablets. There we have it! Some fab healthy snacks and protein packed products that I have been trying over the last few months. I have chosen to feature only the very best, all of which I recommend for purchase. Disclaimer: This post uses PR samples and contains a sponsored product. Love this! I've also been looking at my diet recently and been trying to find healthier snacks. 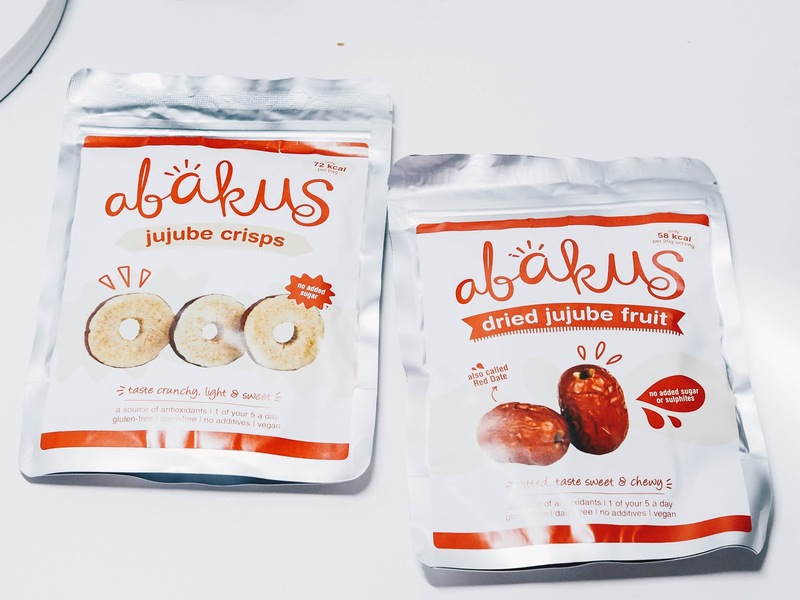 Those Abakus ones look amazing, I've been loving dried baked strawberries from Urban Fruit so those are right up my street! What some absolutely awesome sounding snacks for people who are looking for a healthier snack that is high in protein. I'd love the try the Robinsons R'freshd. Those drinks are seriously nice! What a wonderful selection of tasty goodies that would be perfect for snacking. The only brand I know and have tried is Clif and they are very tasty. I always pick up a couple of bars when they go on sale. Clif bars are incredibly yummy! I love lists like this. Melon seeds, who would have thought... Have also bought the Clif bars before for my kids on school hiking expeditions. They would love the zak cookies too I reckon! Aw yeah the cookies are seriously YUM! Oh wow Ashleigh you did try lots!! :) I like the sound of the pressed juices!! Aw that's a shame as they are my favourites! Wow, this is A LOT of products! I like the sound of the melon seeds - something I think we'd all enjoy actually. They taste fantastic in salads! You've been so thorough, cant believe how many products you've been trying out. Yep, I wanted to put together a big round up! I'm so glad that such products have become available and even popular in the market. I'd definitely go for those cookies! 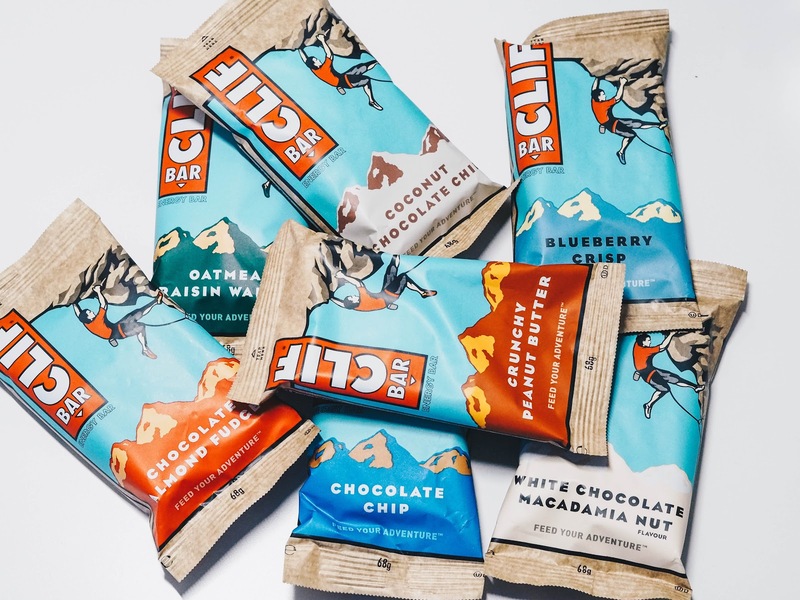 I love the packaging of those Clif products, what a great selection of products, makes me want have much healthier snacks! It's so bright and lovely! It makes me want to keep eating better too! Great round up. 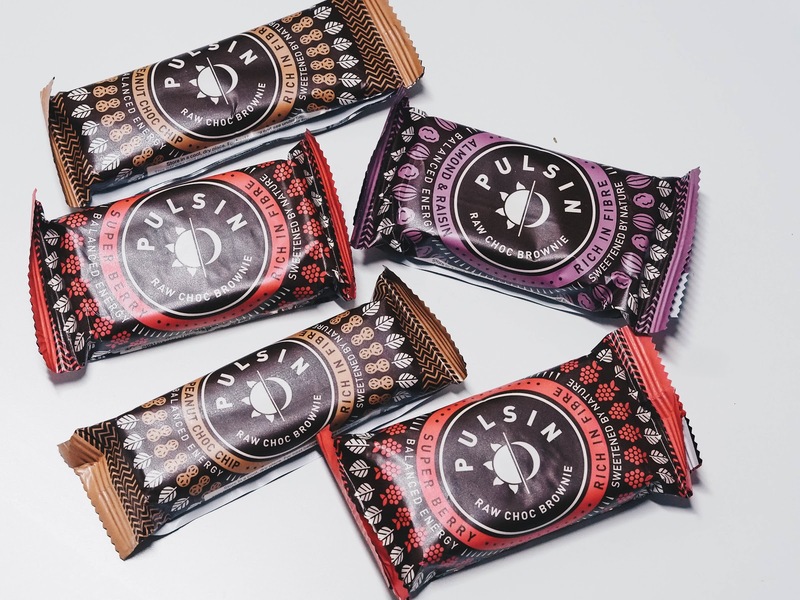 I love those pulsin protein bars so much. I wish they were just a little bit cheaper! Me too but they are worth it as they are so nice!! 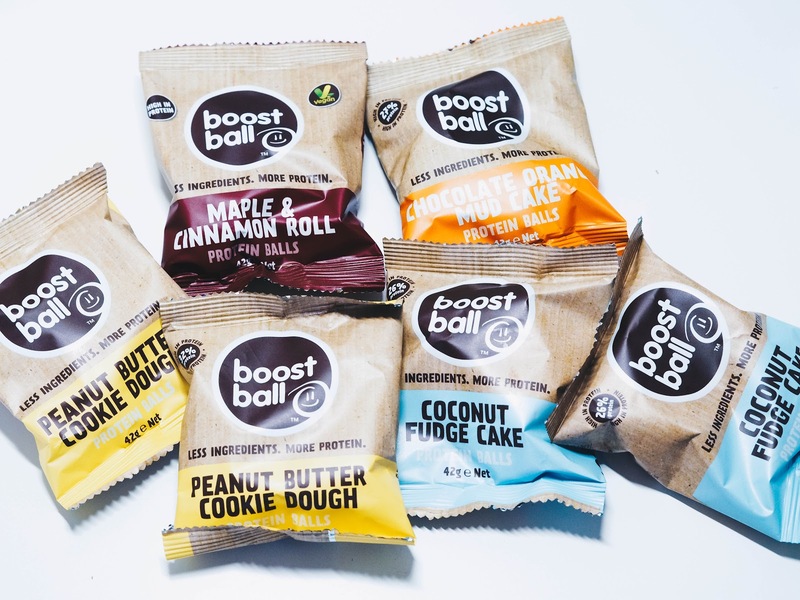 The boostballs and clif bars sound delicious. They seem to have a good range of flavour options that I know I would love. They definitely do. Something for everyone! They are my favourites! The drinks are so fruity. These are good choices. I will bookmark this for reference. I've been reading about high protein diet lately. I am glad it has been of some help! Yeah me too, but these waters are actually really nice and good for you. I love this post! So much choice! I've heard great things about Boostballs, but I love the sound of the Dr Zak's products! Dr Zak's are amazing protein cookies! What a great post! I love the organic banana snacks been eating them for months. Some of the brands mentioned I have been wanting to try for a while so thank you for this review. I had no idea that Mr.Lee had created some healthy options this I must try! I haven't tried none of these protein snacks and drinks. Thanks for the useful list! I definitely need to increase the intake of protein and this post is so helpful! I especially loved those noodles! I've dabbled with Clif Bars and I quite like them, although I'm still trying to find which flavour I like the best. For pre-made bars I really like Lara bars as well because they taste great and the ingredients are so simple! What a valuable articles this is. You are sharing with us, such a informative post. Thanks for this. But keep safe this snacks and drink items from some small and dangerous animals, you need to know about that animals. Here is now, I will share with you a site. You can check this pest control denver site to get solution from that.